The (fictional) Shine of Onitama is carved into the mountains of ancient Japan. Masters of different martial arts schools would travel there to test themselves against other masters in battle. This is the short version of the story behind Onitama, from Arcane Wonders. 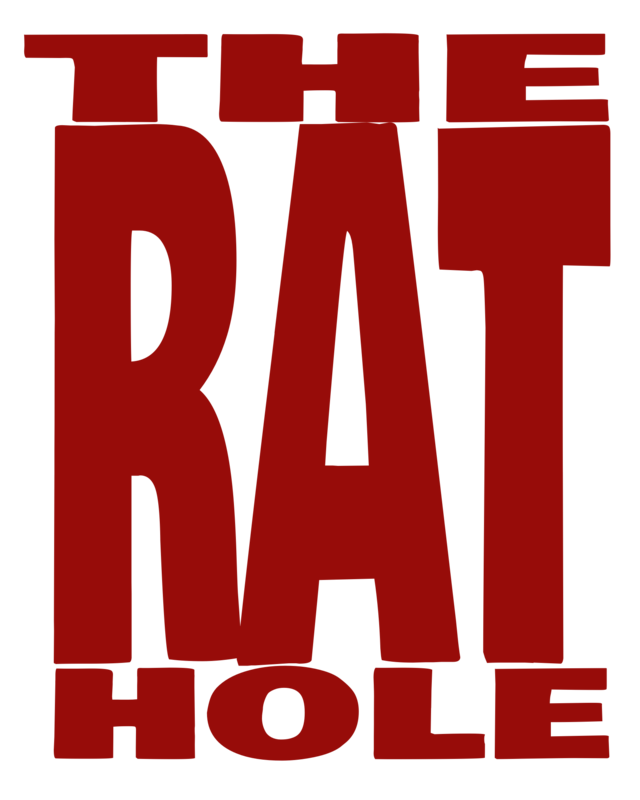 This game is beautifully updated from the original Japanese game, changing the look, but not the simple and elegant gameplay. Play happens on a 5×5 grid, with each of the two players controlling four Student pawns and a single Master pawn. There are two ways to win, the Way of the Stone or of the Stream. To win in the Way of the Stone you must capture your opponents master, by moving one of your pieces into his space. To win in the Way of the Stream you must maneuver your own master across the board and onto your opponent’s temple space (located in the center space on either side). The trick to either option is that until the game starts, you don’t know how any of the pieces will be able to move. There are 16 different movement cards, and after shuffling, each player is randomly dealt two of them, a fifth card is then drawn and placed between the two players. Each card has a different movement pattern that can be used by a single piece on that turn. Once used, that card is placed to the side of the board, and the one that was there is taken in its place. The second player follows the same process of moving and swapping out the used movement card. So, in any given game only those five-movement cards will be used by either player. One of the strategic things a player needs to do is not only look at what moves they can do now, but also to look at what movement card they are about to get and weigh how much the movement card they want to use may benefit their opponent when they get it. 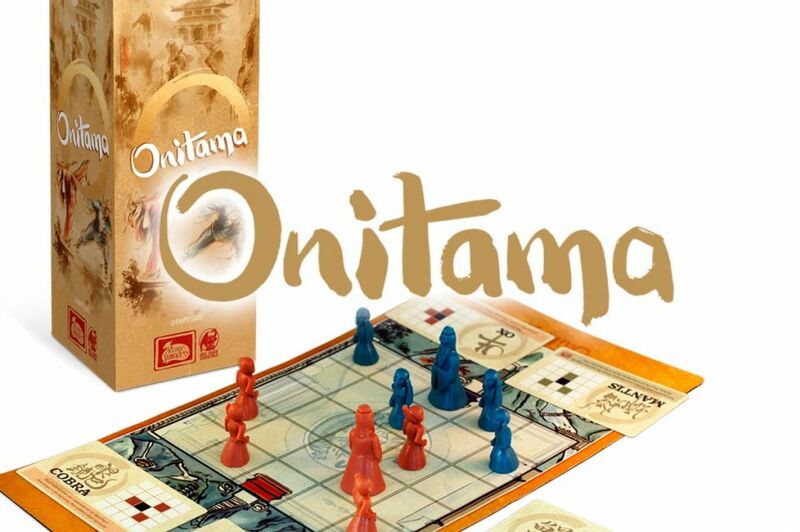 The old saying “thinking two moves ahead” is significantly more literal in Onitama. Each of the 16 movement options is different, with a good variety of options. Most of them give an option to move forward and option to move left or right, and sometimes those are the same option. Most of the cards also give an option to move backward, and again it isn’t necessarily straight back. There are enough cards to play a best-of-three game with your friend and never repeat the movement options, and have a single card left over so that last game’s card selection still has a degree of uncertainty. The box is one of the nicest, well thought out, packages I’ve come across in a long time. The style looks like it might have an ancient scroll in it, the outside is thick cardboard, with a magnet closed wrap around lid. The insert holds everything perfectly in place, no matter what angle you carry/shake/set the box, and has room to add in the cards from the Sensei’s Path expansion. The components are equally beautiful. The Master and Student pawns are detailed enough to convey the theme but still abstract enough to not come across as a disrespectful caricature. The board is a beautifully illustrated neoprene mat, that rolls up tightly and still unrolls to lay flat. The movement designs on the cards are named after animals and the card art integrates the Japanese kanji for each animal on them, which is a beautiful touch. While it’s not as portable as some two-player games, it’s a fast and fun option for people who want a challenge without also needing a steep learning curve. Don’t forget to check back this Thursday for our review of Onitama’s Sensei’s Path expansion.